Popp Advogados Associados is a company of lawyers, formally constituted with the Ordem dos Advogados do Brasil - section Paraná - under number 77, on September 27, 1989. 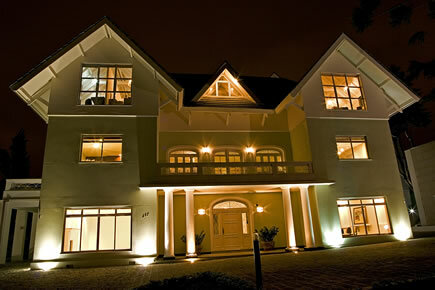 It is headquartered in Curitiba, PR, at Av. Agostinho Leão Júnior, 257 (click to see map). It maintains corresponding offices in São Paulo, Rio de Janeiro, Brasília, Florianópolis, Porto Alegre and Lisbon. The office Popp Advogados Associados, legal services provider in the areas of Private and Public Law, founded on September 27, 1989, by the partners Carlyle Popp and Májeda Denise Mohd Popp, aims to achieve the reliability of its clients, satisfying expectations of each, as well as maintaining and increasing its market share, always with a high level of quality. The office, today, to develop its work, has a team of 40 people, composed of lawyers, trainees, secretaries and external service providers. The technical service is directly linked to the lawyers and legal trainees. Each lawyer is responsible for certain sectors of specialization, depending on their academic degree. It is up to the trainees to collect the forensic information, in the procedural process, necessary for the good progress of the actions. It comprises the technical activity, providing information to clients, transmitted in the form of reports, so that they can follow the development of their legal issues. The reports sent to clients represent, periodically, the provision of the result of the contracted service. The significant growth of the customer base and the philosophy of work that guides the performance of all its staff requires the company to have a technical and administrative structure that can meet this demand, providing its customers with a personalized service with promptness and quality. The consequences of this professional agility, indispensable nowadays, directly affect the customer. And the technical improvement of each member of the team means that the positive result obtained in the development of the work reflects the seriousness with which the company deals with the legal cause. Thus, the obligations are distributed according to the personal skills, potential and technical improvement of each lawyer. The maintenance and monitoring of legal issues are monitored and discussed at weekly meetings, where lawyers study the best way for the desired result to be achieved, always in compliance with law and ethics. The exchange of information strengthens the team spirit and directs the strategies more safely. There are principles that govern the interpersonal relationships of the members of the company's work team, principles defined and preserved by top management, consistent: respect for individuality; in maintaining self-esteem and personal motivation; in valuing professional performance; in permanent collaboration; in the balance of decisions and in the friendly relationship that can ensure a pleasant work environment that contributes to the productive process, both personal and company. Regarding the professional growth of each one, the firm also provides economic assistance for postgraduate courses in law, since these employees, by improving the production process, also contribute to better achieve the interests of the client. These principles are established as indispensable elements in the process of recognition and prominence of the company in the market. Popp Advogados Associados practices an advocacy guided by the ethical regimes of the Ordem dos Advogados do Brasil e da Advocacia. The office is responsible for the full respect of confidentiality with the clients who entrust their causes to us, even after closing the matter presented. Confidentiality also extends to simple consultations, even if no consultative or contentious issues are subsequently taken up. Confidentiality achieves a proprietary system of filing customer documents, both internal and remote. In this line of thinking and acting, it is imposed on every lawyer who participates in the Office staff to establish confidentiality terms, assuming, each professional, regardless of experience level and area of ​​action, the same professional commitments of lawyers partners.